Elk Run Winery is the most awarded vineyard in Maryland! With more than 600 International, National and Regional awards, Elk Run has become one of the top 100 wineries on the east coast—and the most acclaimed winery in Maryland. Nestled in the rolling hills of Frederick County, Elk Run is surrounded by dairy and horse farms, and fields of wheat and corn. True to the region’s deep history, the property was deeded “Resurvey of Cold Friday.” It was a land grant from the King of England to Lord Baltimore. 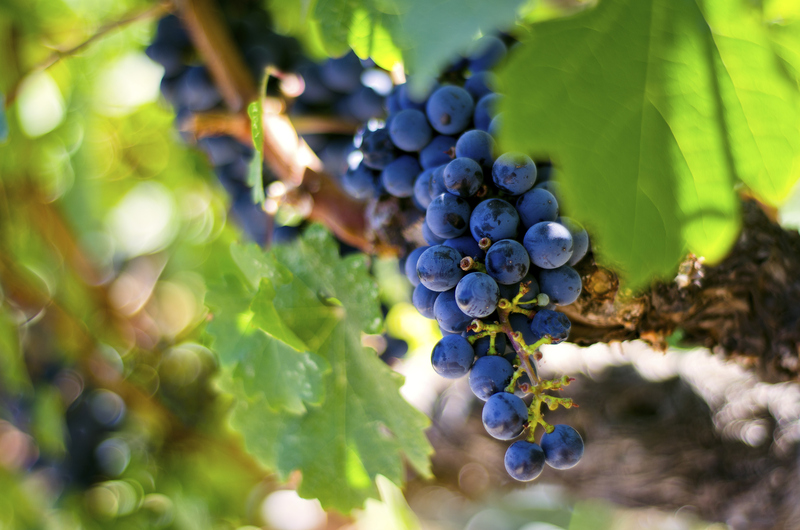 Though the land itself is storied and historic, the vineyard takes advantage of modern technology and science. Combining New World research with the traditions of the Old World, Elk Run’s focus is on producing high-quality wine from high-quality grapes. What are some of the New World benefits? For one thing, Elk Run practices sustainable agriculture. The local terroir of schist and shale soils; 800-foot elevations; and warm days and cool nights preserve the fruity character in the wines. Though Elk Run Winery has won many awards, it has a special claim to fame. In the second season of Netflix’s acclaimed House of Cards series, Elk Run’s Liberty Tavern Cabernet Sauvignon was featured on the show! The producers were looking for an outstanding wine with a beautiful, noticeable label to help set the scene in the show. Elegance, quality, and locale are all associated with Elk Run. You can enjoy a tasting at Elk Run from May through September. Operating hours are Tuesdays through Saturdays, 10-6, and Sundays from noon-6. In winter months, you can enjoy “Wine Down Fridays.” From October – April, these Friday evening events let you cozy up to the fire inside or bundle up to the fire pits outside. You can enjoy intimate musical interlude and wine trivia. Check the Elk Run event web page for upcoming opportunities. We hope you’ll come enjoy the many wonderful pieces of history and nature Maryland has to offer. Our free area vacation guide can help you plan your stay. And our own Wayside Inn, located in historic Ellicott City, is the perfect place to get away from it all. Or if you’re wanting to explore Washington DC, Baltimore, or Annapolis, you can stay with us and enjoy the small-town Americana feel of our historic inn. Enjoy the big city during the day, and wind down with us in the evenings! Follow our blog for weekly highlights of our regional favorites, from performances and the great outdoors to restaurants and shopping.